Aori Ramen is the brainchild of Lee Seungri, one of the biggest boy band in the world - BigBang. Apart from being a successful artiste, he desires to use food as a gift to bring happiness to everyone through the flavors of Aori Ramen. 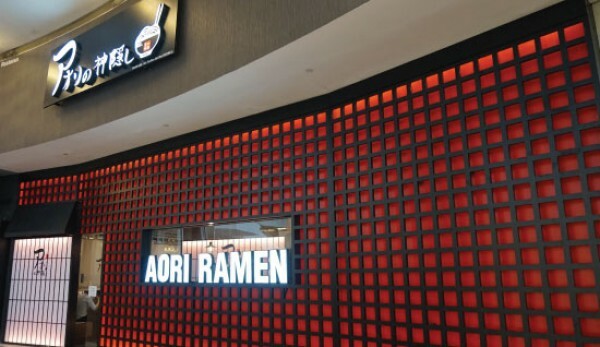 Designed to be customer friendly and trendy , customers can control the level of spiciness with Aori Ramen’s special sauce and customize their ramen according to their preferences by selecting ingredients. Aori Ramen’s signature: Don Kotz Ramen is cooked by pairing pork bones soup with special 1.1mm Hoso noodles. Add the exclusive special sauce to allows the the broth to be both spicy and tasty whilst customers can add other traditional Japanese beans and Nira Kimchi to expand the flavour of Don Kotz ramen. Another speciality in Aori Ramen is the TKG (also known as the tamago kake gohan), it's a traditional Japanese staple that consists of rice, Aori Ramen’s special topping and an egg yolk. On 20 June 2016, the first footsteps of Aori Ramen started in Cheongdam-dong. Since then, they have been expanding to the whole country and the Asian region. There are now 35 branches around the world, 31 in Korea, 3 in China, 1 in Vietnam and now the 1st ever branch in Malaysia here in Pavilion KL. Locate us here!